Posted on March 19, 2019 by revivewa	in Opinion, Reviews. By Father Rod Bower, Penguin Books, 2018. Born to a young unmarried mother through to his adoption, Father Rod Bower shares his struggles to establish his identity in the midst of bullying and his stepfather’s early death. He finds acceptance within Anglo-Catholicism, eventually going to seminary, ordination and appointment to the Gosford Parish with a deep passion for social justice. His theology of billboard signs reveals a deep empathy for Jesus’ mission to the marginalised which in the modern context involves challenging attitudes towards ‘illegal’ asylum seekers, Islam, LGBTQ and climate change. 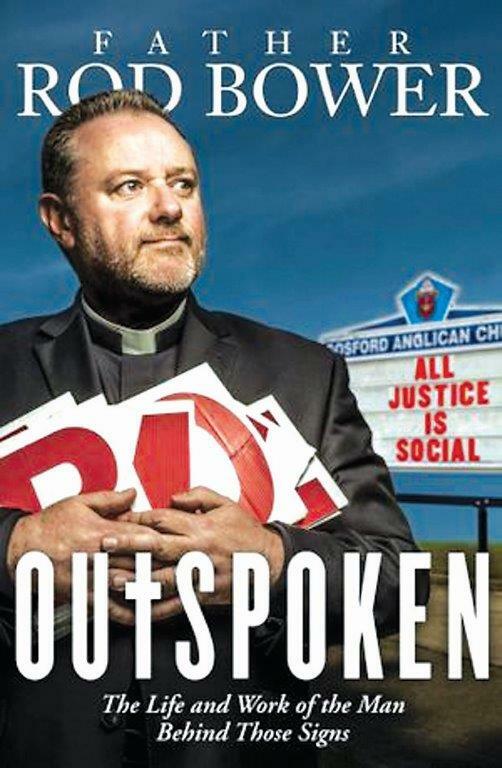 Fr Rod Bower demonstrates how billboards gives the church a platform for sharing the Gospel in the public square, exposing the ethical failings of Parliament. Fr Rod Bower’s ‘Stages of Spirituality’ gives valuable insight into institutional Christianity, from Stage One ‘ego driven’ Pentecostalism, to Stage Two ‘ego within safe boundaries’ of church rules and regulations, to Stage Three where church people move out engaging in secular projects for the ‘Common Good’. The fourth and final stage is that of the Mystics who move seamlessly between all stages. Fr Rod Bower positions his ministry at Stage Three with a future goal of being an Independent Senator who maintains separation between church and state, by resigning his priesthood if so elected. A prophetic book by a deeply spiritual person engaged with the suffering of the world.